Rim your glass with Chocolate Syrup or you can swirl it inside the glass. Crème de cacao is a cacao (chocolate bean) flavored liqueur, often scented with vanilla. It is different from chocolate liqueur, which is usually sweeter and more syrupy. 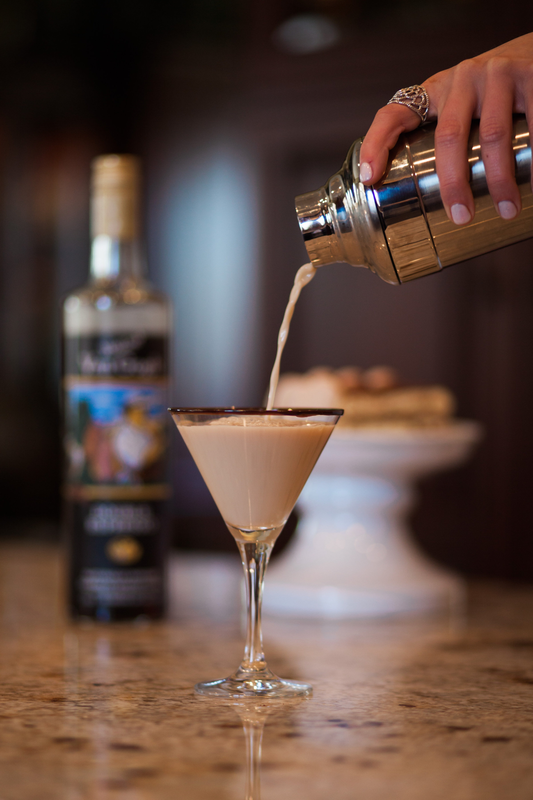 It exists in two different variations: Dark crème de cacao is dark brown, while White crème de cacao is a clear, colorless form of the same liqueur. People often think that the two Creme de Cacao’s are diffferent. Or that one is White Chocolate and the other one is Dark Chocolate, that is not the case!